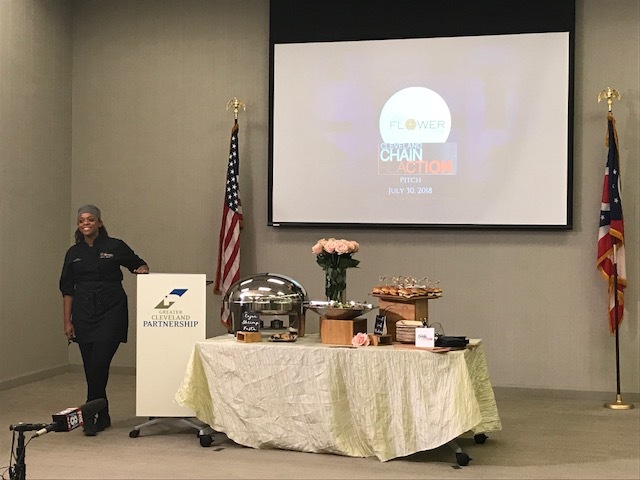 Update: Cleveland House Hotels, Hatfield's Goode Grub, Her BlueWear Uniforms, Immaculate Cleaning Co., Old Brooklyn Cheese Company, PearlFlower Catering, Randy's Pickles, Sidekicks Salsa, and Vino Veritas Cellars were announced as the nine Chain Reaction finalists on Monday, August 27. Now that Old Brooklyn has been selected as the site for the second iteration of Cleveland Chain Reaction, who are the businesses that will set up shop on its streets? Held on Monday and Tuesday, this week’s Business Pitch Showcase took Chain Reaction hopefuls one giant step closer to answering that question. 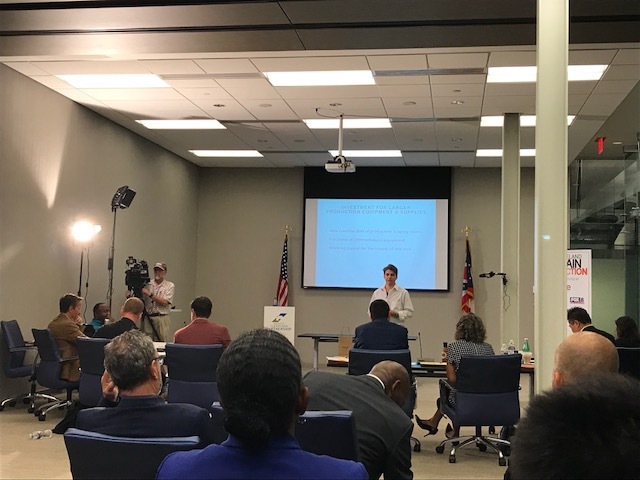 With the field narrowed down from 107 initial applicants, the remaining 18 semi-finalists took center stage at COSE’s downtown headquarters to give their “Shark Tank”-style pitches for why they should be one of five businesses chosen to receive at least $100,000 of investment. 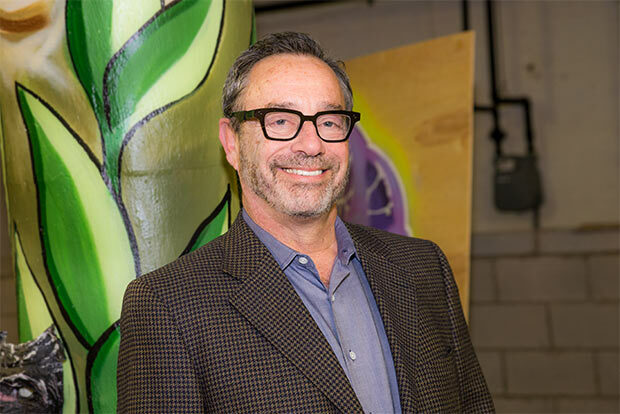 “We’re matchmaking private investment with small businesses and entrepreneurs in Northeast Ohio,” explains Jeff Kipp of Cleveland Neighborhood Progress, one of four collaborative partners in the effort along with COSE, GlazenUrban, and JumpStart. Presentation by Old Brooklyn Cheese CompanyImmaculate Cleaning Co. made an ask for $100,000 in exchange for 20 percent equity in their business. With clients like Cleveland Metropolitan School District and Case Western Reserve University, the company cleans at least eight facilities daily and needs more resources to fuel their growth. Michael Januska owns Old Brooklyn Cheese Co., which he says is one of the few—if not only—cheese shops in Northeast Ohio. Currently, the Old Brooklyn resident is eyeing a new 11,361-square-foot facility in Old Brooklyn, and seeking funding for larger equipment and more supplies to produce the company’s raw, non-GMO cow’s milk and cave-aged cheeses. A LEAN Fund recipient, iSalon Plus Hair Loss Center seeks a $100,000 investment to open a retail location in Old Brooklyn. Other proposed uses for the funding include expanding equipment from three to 10 high-powered sewing machines for the company's custom-made wigs, and creating privacy rooms for their clients to feel more comfortable trying them on. CMSD teacher Ben Colas presented his concept for KinderKits, a kindergarten readiness tool that utilizes everyday items for learning. He’s seeking $85,000 for 20 percent of his business, with hopes of opening a production space in Old Brooklyn to meet local and national demand for the kits. 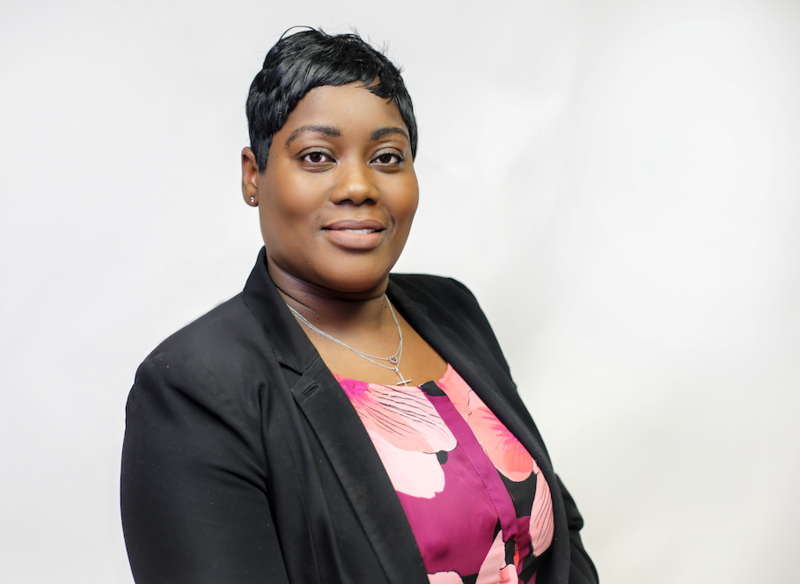 Tiwanna Williams of PearlFlower CateringPearlFlower Catering owner Tiwanna Williams discussed the need for a commercial kitchen for her rapidly growing company, which mostly focuses on corporate and wedding clients. Other presenters—like Randy’s Pickles and Sidekick Salsa—gave the investors a literal taste of what they had to offer with on-site sampling, while Her BlueWear Uniforms enlisted models to showcase their custom uniforms for female public safety officers. Among the other companies making impassioned pleas to the investor panel were: Cleveland House Hotels, Ellie-May's Gourmet Cookies, Hatfield's Goode Grub, JB Grill Soul Food & Catering, Lake Erie Pet Food Co., La Posada Latin Cafe & More, Our Favorite Things Boutique, Vino Veritas Cellars, and Yellowcakeshop Clothing. 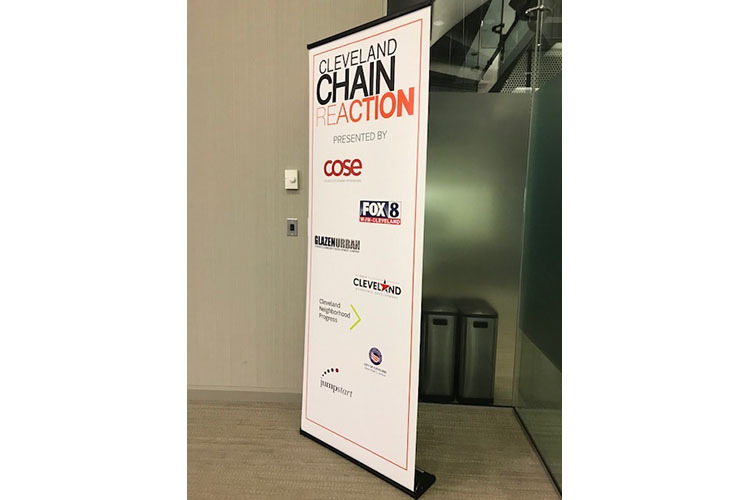 "We had such a great variety of businesses make it to the semi-finals this year—from food to clothing to personal care items to cleaning services," says Megan Kim, Senior Vice President, Membership Development and Marketing for Greater Cleveland Partnership and COSE. "It was evident during their pitches that each of these owners is ready to take their business to the next level. They just need a little bit of help from successful professionals like our investors to help them. 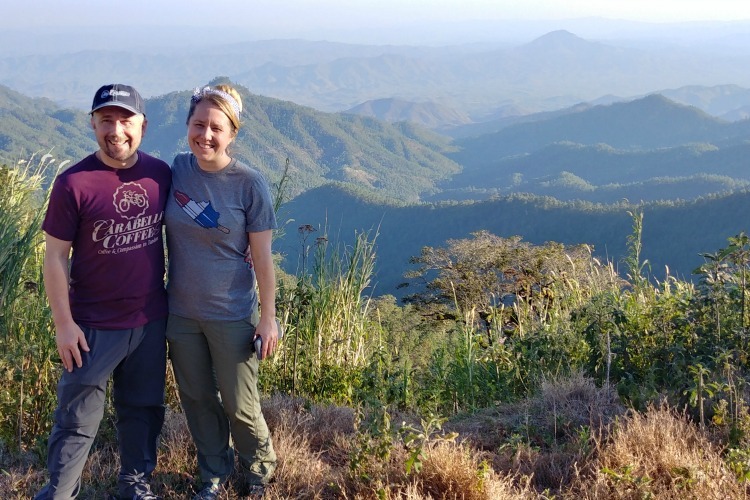 Our investors not only bring the capital to support growing these ventures, they also bring years of experience building their own companies, which will certainly benefit our Chain Reaction companies." Alan GlazenAs the initial spark behind Cleveland Chain Reaction, Glazen knows that well. Glazen was one of the investors on CNBC’s “Cleveland Hustles” series (created by LeBron James and Maverick Carter), and ultimately invested in Cleveland Bagel Company. He went on to start Chain Reaction with CNBC’s blessing when they ended the series after one season. Instead of a television show, Chain Reaction is now an economic development project that kicked off last year in Slavic Village and is continuing in Old Brooklyn. 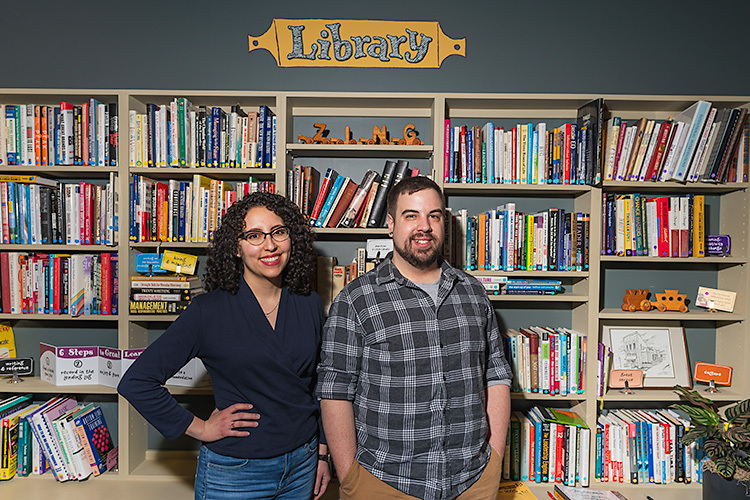 “What sets Cleveland Chain Reaction apart is that we are prescribing where all these businesses will land together so that we can make an impact in urban neighborhoods,” says Kipp. The Chain Reaction neighborhoods are carefully chosen as "commercial corridors or districts that have experienced positive momentum," says Kipp. 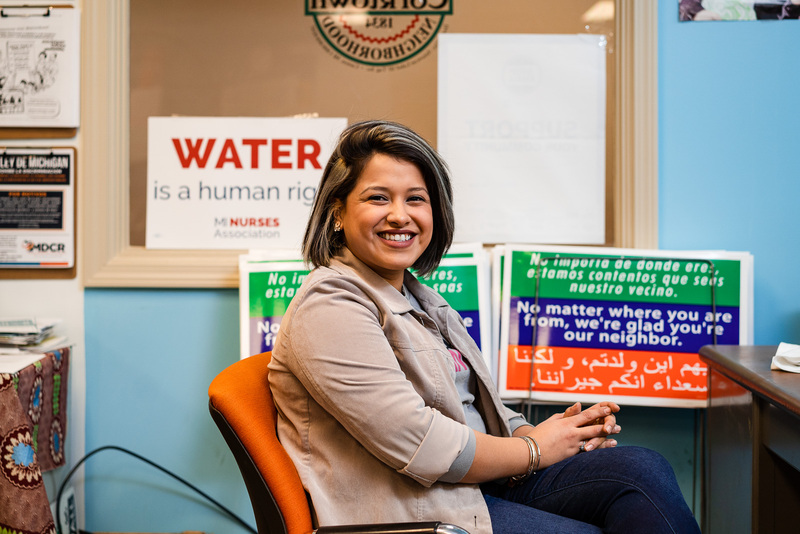 "We're looking for neighborhoods that have some traction of success, are seeing new businesses join in, and could benefit from the boost of one million dollars of investment and five or more businesses." 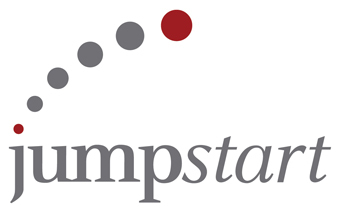 Since last year, several enhancements and improvements have been made to the selection process—such as a six-week bootcamp specially facilitated by JumpStart for Chain Reaction semi-finalists to help prepare them for the showcase. Glazen says they’ve also incorporated more thorough vetting of investors, requiring them to put money in escrow. Each is required to invest at least $100,000, but has the option of investing more or investing in multiple businesses. “At this point, it’s incumbent on the investors and businesses to have ongoing conversations so we can make good matches,” says Kipp. So what’s next? Now that all 18 semi-finalists have made their pitches, the investors will identify the company (or companies) they want to back. According to Glazen, the investors will meet on August 7 to share their selections and decide who will work with whom. The goal is to make a formal announcement of the winning businesses by October, though Kipp says they may make some gradual reveals beforehand via social media or television appearances on Fox 8.